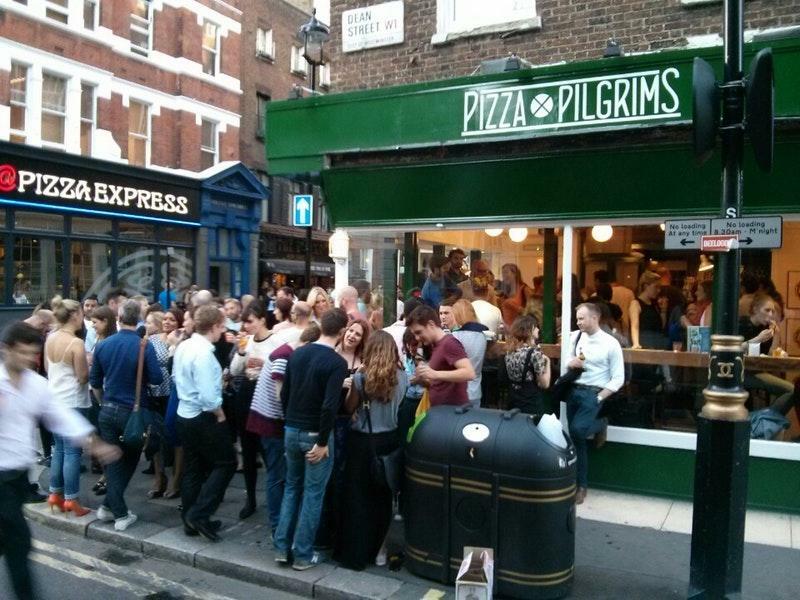 Pizza Pilgrims is pretty near Soho Square. 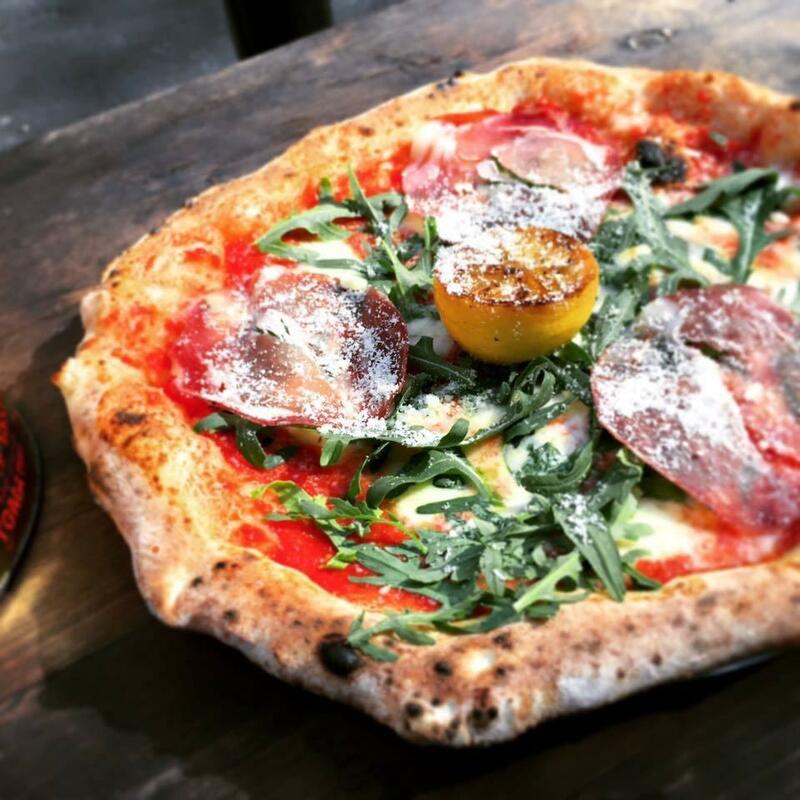 You will be served Italian cuisine at this pizzeria. 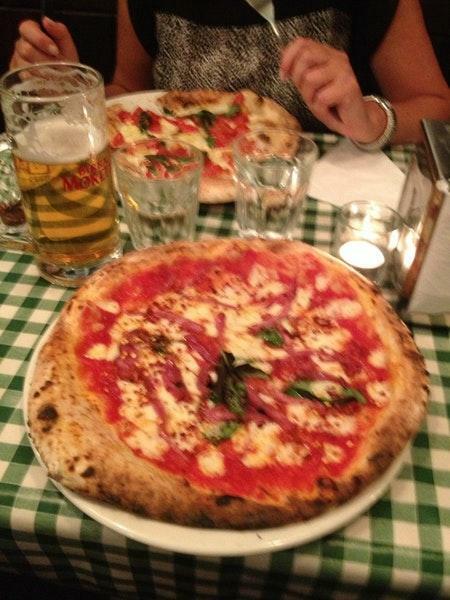 At Pizza Pilgrims, guests can have nicely cooked pizza margherita, calzones and nduja. Here you will be offered good nutella pizza, vanilla ice cream and tiramisu. Food delivery is a big advantage of this place. This spot has delicious craft beer, limoncello or margaritas among its drinks. It is nice to enjoy great latte, espresso or tea. Most visitors point out that the staff is pleasant. The cool service is a great benefit of this pizzeria. Delicious food at affordable prices are offered here. You will definitely appreciate the nice atmosphere and divine decor. The average score is 4 on TripAdvisor. I went there once before and I Liked it so much that I decided to come back, but this time total disappointment, not with pizza (which I still think is one of best around) but with the service or rather luck of it, I get it, it was busy when I entered, there were people already waiting, problem is, even though there were at least 4 employees none of them acknowledged my presence, no greeting, no eye contact, I was there for 5 minutes and still no hello or anything, when I was trying to catch attention of one of the Waiters he was too busy slicing pizza, didn't even bother to ask if I want table or take away, another customer came behind me and was unnoticed and left soon after, I this stage I lost patience and left, without even being noticed. I will not bother again, will go to my local Canary wharf branch instead, service there is better. 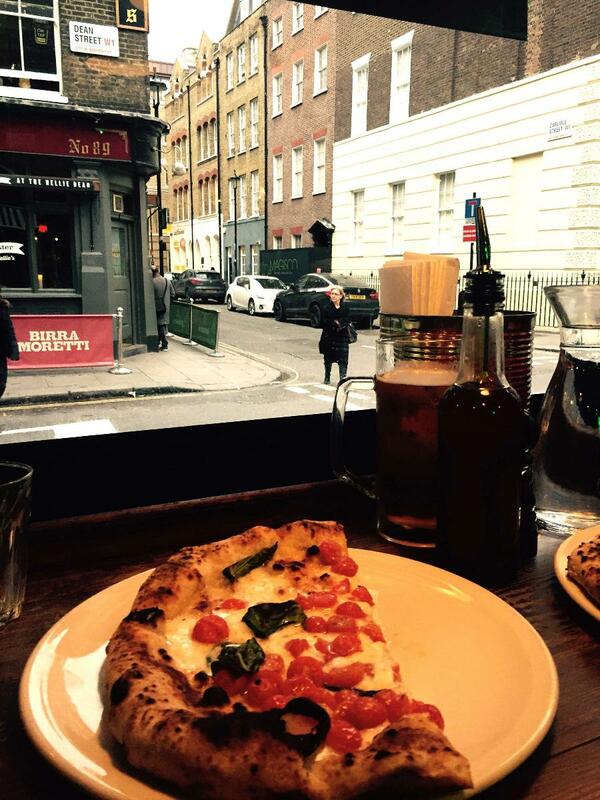 Amazing Italian pizzas in a cozy place.